Can you believe it? It’s finally time for the little princesses and bunnies to Trick or Treat! Happy Halloween to you, too, Danna – and to everyone on this list! PS: Most of my books and audios too are at your public libraries – good luck and good times, and good reading to all of us. (And thanks for this interesting, helpful, great blog! Our Happy Halloween was Friday night. Thursday we had thunderstorms and 40 mph winds. My hubby wore a silver skull mask until he made a small child cry. The kid walked away with a stash of candy. Rose, Our area had some bad storms also. 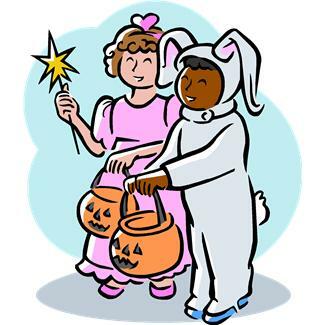 Several communities had changed their Trick or Treat night until this afternoon, Sunday November 3rd. We had the storm somewhat during the afternoon on the 31st but then the rain stopped until about an hour after the kids should have been home. Where we live now we don’t get many kids. DH and I only had one kid!! Oh well, life changes, huh? ?